“Skateistan: The Tale of Skateboarding in Afghanistan”, is now available worldwide Packed with the cool stories, illustrations and photos that a website, newspaper article, or video can never really do justice. The book has some great never before seen photos and features long format interviews that bring the reader as close to Skateistan with out traveling to Kabul. This is beyond any cool ‘skateboard book’, though it certainly is that too. The sense I get when reading through is one of hope and persistence. Many of the kids interviewed in the book are between 11-15 years old, their entire existence cloaked by war. Nancy Hatch Dupree, an american born Afghan Historian who has lived in Afghanistan for the last 50 years, (the Studs Terkel of Kabul) sheds light on a time before the Taliban or Soviet occupation. For anyone interested in Afghanistan at any age this is a crucial eye opener. 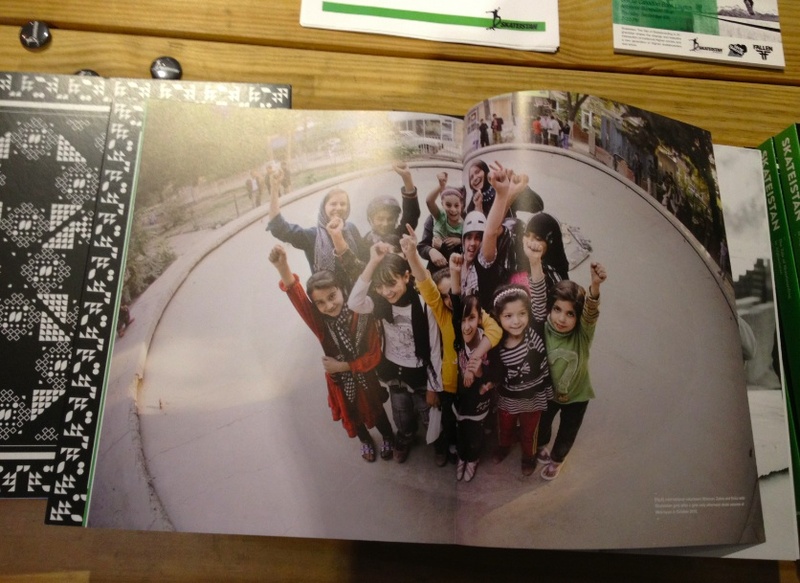 One of the radist parts of this is 100% of the book profits go to fund Skateistan. This is just one of the endeavors to make the NGO a self sustainable project, no beholden to government aide, they can focus on the kids. On another note, The Keep Skateistan Rolling Fund Raiser is over, but the Crowdrise page is up for a few more days. If you haven’t already, head over and make a quick donation. A little goes a long way in Afghanistan and Cambodia! This entry was posted in Activism, Books. Bookmark the permalink.